Positive thoughts are important for everyone’s mental health and growth. Investing in ourselves – our minds, bodies and souls, too, will help improve our lives and move us forward to enjoy new opportunities, experiences and social connections. In our lives, on our journeys, we can choose happiness and positivity, and learn how to deal with life’s challenges and setbacks. When we need to reach out to others for support on the way, it is not a sign of weakness, but a clear indication that we understand our needs and requirements to reach the next stage of our lives. With conviction, belief and a little help from others, we can strive to be all we can be and all that we are capable of. Life is the best voyage you will ever make. You will connect with many souls along the way. Some souls will be like a passing ship in the night, whilst others will stay with you forever, playing a key and important role in your life. 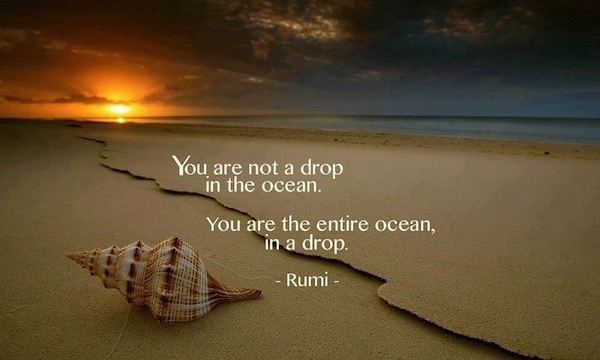 In this life, you are an ocean concentrated in one small drop of consciousness. You will be taken on a step by-step journey of self-discovery. On the way, you will find many things and learn a wealth of knowledge. But most of all, you will have a chance to find yourself.